If you know of someone who has been ill, hospitalized or has experienced a loss, please let our staff or front desk volunteers know so that we can send a card. Many Thanks to the Friends of Verona Senior Center for their help in making the Senior Center a better place. The Friends of Verona Senior Center provides on-going financial support for music at the birthday – anniversary party, snacks for the Coffee Hour, Veterans Group, Caregivers Group, Parkinson’s Group and food for special events. Thank you! Thank you to all who donate to the Verona Senior Center! Helping Hands, a fund that provides short-term emergency support to seniors in need. If you do not designate a specific purpose, your gift will be used where needed most. “A tiny spark ignites a flame, just as a helping hand can do the same.” – Nonnie Jules. 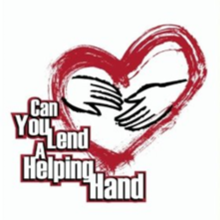 Please consider a gift or memorial donation to the Helping Hands Fund through the Verona Senior Center. With your donation, you can help Verona seniors with emergency needs that they are unable to provide themselves or obtain through other community resources. Consider a personal donation, a gift in remembrance of a loved one, donation to the Fund in lieu of flowers at a memorial service or a will bequest to Helping Hands Fund – Verona Senior Center. Have you recently experienced the loss of someone who enjoyed coming to the Verona Senior Center? A thoughtful way to honor him or her is through a memorial to the Center. You can designate the gift for the program your friend enjoyed or have it be used for the general programming, both of which will benefit so many people. located in the Serenity Garden. request at the time of your donation. All donations and requests should be directed to Friends of Verona Senior Center. Many Thanks to the Friends of Verona Senior Center for their help in making the Senior Center a better place!